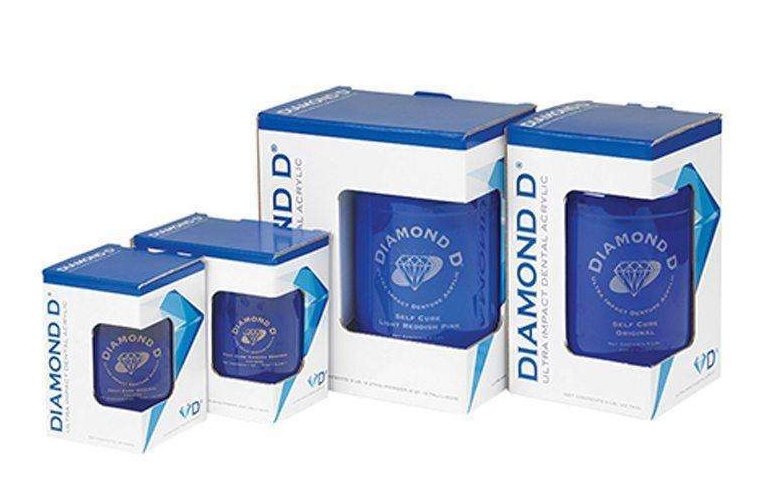 Diamond D Self Cure Powder and Liquid is available in all industry standard colors. Advanced natural-looking dentures require artistry as well as technical expertise. Diamond D was specially formulated for exceptional working and handling characteristics for anatomic sculpting. This revolutionary new resin has just the right translucency and color variations found in natural tissue as well as ultra impact and flexural strength. The demand for function and aesthetics in dental fabrication is growing. Diamond D can help take a business to a new level.